CARPE DIEM HAIKU KAI: Carpe Diem Time Glass #13, "first snow"
Welcome at a new Carpe Diem Time Glass episode in which I challenge you all to write an all new haiku within 18 hours. A time challenge ... this week I will give you 6 hours more to respond, so you have to respond within 24 hours. Why? Let me tell you ... Maybe you remember our Kamishibai Extreme challenge last month. In which I challenged you to write a haibun (prose and haiku) on a given prompt with only 55 words (including the haiku). For this Time Glass episode I will challenge you again to write an "extreme" haibun, but now you may use a maximum of 100 words, including the haiku. 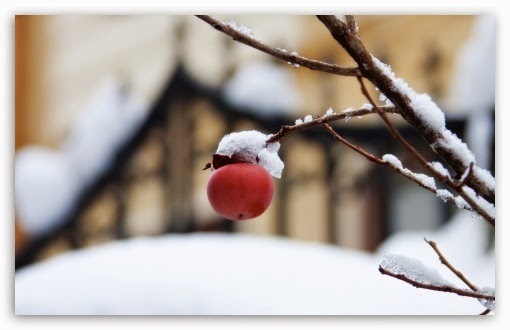 This week's prompt is: FIRST SNOW and I have the following image for you to help you to become inspired. So to fulfill your task for this week's Carpe Diem "Time Glass", you have to write a haibun with the theme "first snow", you may use a maximum of 100 words (including the haiku) and you have to respond within 24 hours. Not easy I think, but it can be done ... success!! This Carpe Diem "Time Glass" episode is NOW OPEN for your submissions and will remain open until December 9th 7.00 PM (CET). Good luck ... I am looking forward to all of your wonderful responses. Look forward to seeing what a proper haibu should look like. I love writing to a word limit.. my tip is to use the word-count function in your wordprocessor of choice.. Personally I use google docs.. that works perfectly. This prompt felt just right. While I appreciate the extra time, I will have none tomorrow, as I have both grandies all day. So I will post my piece shortly - glad I check this evening (as it is 8 pm for me now).